Despite the fact we're already into September (although I'm not entirely sure where the rest of the year has disappeared to), I'm not quite ready to let go of Summer yet. Admittedly, I love Autumn; the colours, the layering, the crusty leaves and the dark, cosy nights, but I feel like I've been robbed of Summer since it's pretty much just been 90% rain. Anyway, back to the outfit, a.k.a one of the most stereotypical Summer outfits we've seen this year, but an absolute belter nonetheless. 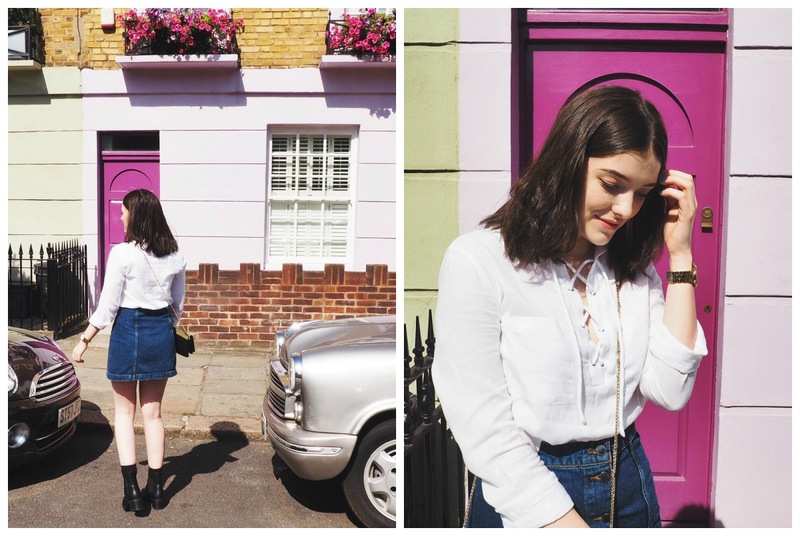 Can you really beat a classic white shirt and denim skirt combo? I decided to jazz mine up a little with this amazing patchwork bag (which I've only just noticed consists purely of Autumnal colours, oops? ), assisting me in matching the colourful side streets of Camden. love the outfits and pics, so cute!!! 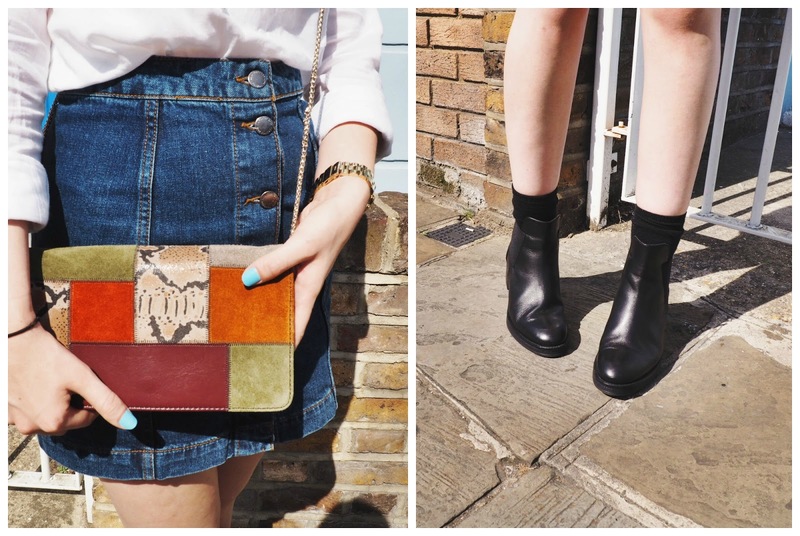 I'm always so in love with your style and that bag *heart eyes emoji*!